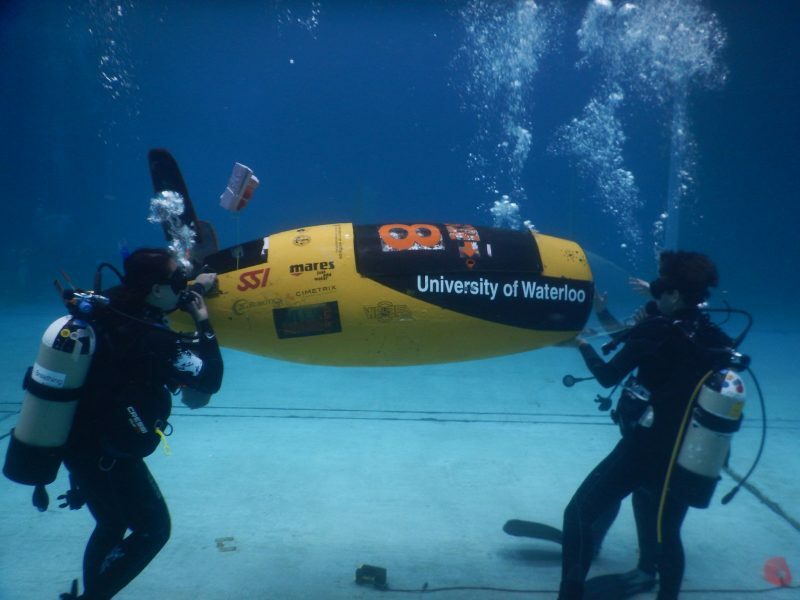 Lastly, The University of Waterloo Submarine Racing team will be in attendance. ‘WatSub’ for short, is an engineering student design team which designs, builds and races human-powered submarines. The team lives in the Sedra Student Design Centre, a University of Waterloo state of the art facility that houses over 25 student teams, the largest of its kind in North America. WatSub started as an engineering project on December 2014, becoming officially the first submarine racing team in Ontario, and the first to participate in competitions such as the International Submarine Races. WatSub provides undergraduate and graduate students with learning opportunities in marine engineering. Students can challenge themselves, stretching their knowledge into hydrodynamics, monocoque manufacturing, water and pressure proofing, and many other challenges that come from an underwater environment, both practically and theoretically.